Before starting a home soundproofing project, it’s good to understand how noise enters your home. Noise can penetrate doors, walls, ceilings and other openings in your house. How does this work? Sound is energy that’s created when something vibrates. Strum a guitar and the vibrating strings make the surrounding air molecules vibrate too. That sound energy then travels outward and penetrate solids. Insulated walls block sound better than uninsulated walls. A solid wood door transmits less sound than a hollow one. 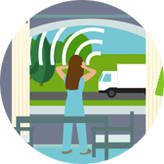 One key principle: if air can penetrate through the cracks in your home, sound can too. So effective seals and gaskets around doors and windows are important noise barriers. Windows are typically the primary entry point. Noise travels easily through glass. It also enters through the many cracks in a window frame (as do cold drafts.) 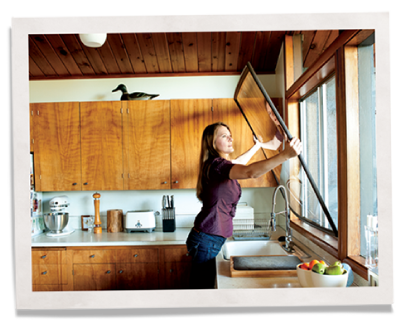 Insulating your windows against sound isn’t as difficult as you may think. Was your home built before 1950? There’s a good chance you have single-pane windows, which allow more noise to enter your space than new double-panes. But even new double-pane windows can let in a lot of noise. Don’t worry: window noise reduction is within reach. 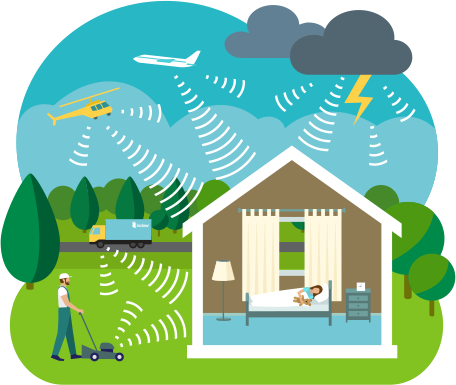 Now, what if your noise problem stems from neighbors upstairs or downstairs? That’s a harder soundproofing challenge. It can involve building drop ceilings and floating floors. If you have the budget, consider hiring an acoustical consultant to assess your noise situation. A good resource is the National Council of Acoustical Consultants. If outside noise is your main problem, you can soundproof your house or apartment several ways. Caulk cracks in your window frames, install heavy, sound-damping curtains or use window inserts to reduce 50 to 70% of the noise as well as block drafts to lower energy bills. Insulating your walls and ceiling also helps. Once you reduce the sound coming through the windows of your house or apartment, absorb noise in the room to improve acoustics, with everything from upholstered furniture to acoustic panels. Keep in mind not all noise is the same. Insulating your windows against sound will work best for higher frequency noises like honking horns, sirens and squeaking brakes. But lower frequency noises like the thumping bass of a passing car or the rumble of a powerful motorcycle can penetrate walls. Lower frequency noise damping is more tricky. 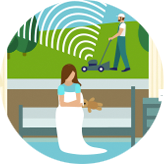 Set your expectations: you may not be able to completely soundproof your home. But you can reduce the noise to make it a more comfortable place to relax. Learn more about soundproofing solutions here.